Yurts originate from Mongolia and Central Asia and were traditionally used as a portable shelter for nomads. The yurts consist of an expanding wooden circular frame carrying a canvas cover with a felt lining. Our Yurts have the traditional wool felt lining, meaning they are not only really cosy at night, but keep the Yurt nice and cool in the summer time. Pure sheep's wool is also naturally fire resistant. Many people in Mongolia retain a nomadic life style and the Yurt is still the most common form of habitation. 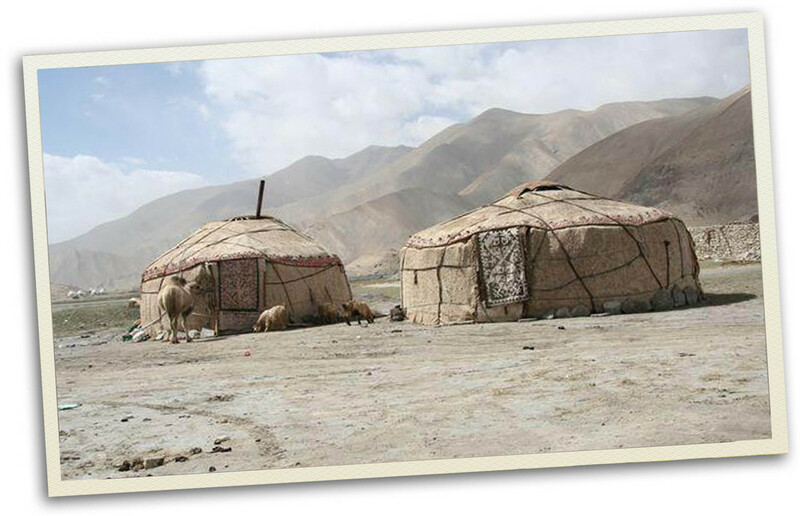 A yurt is designed to be dismantled and the parts carried compactly on camels or yaks to be rebuilt on another site.